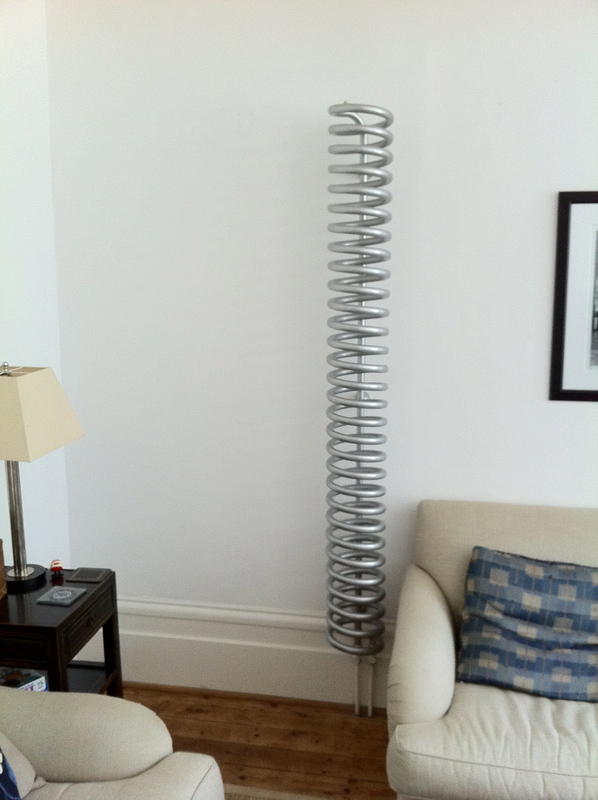 These awesome heating radiators were in the flat (apartment) that we stayed in. I want to make one more. How much pipe do I need to bring to the bending machine? Nice helix! Something like I’d guess.